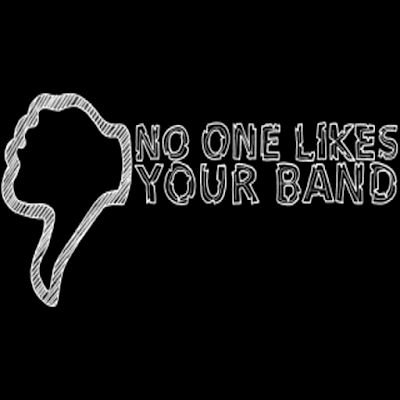 NO ONE LIKES YOUR BAND: NOLYB is under construction! Here's the thing y'all, after 3+ years of doing the podcast, it's time for a change. It's time to evolve. Those of you who follow the social media pages may have already heard about changes on the way, but I'd like to elaborate a bit. NOLYB is on it's way to becoming much more than just a podcast, and blog; plans are being made behind-the-scenes to turn NOLYB into a sort of entertainment network. A place you can go for many different entertainment options. New web shows are in development, and as always, we're looking for contributors. If you've got an idea, let's talk about it, I like to think I'm a damn good listener for someone with extreme ADHD. What this means for you, the listener/reader is that there's going to be some times ahead with somewhat limited NOLYB content. I'll keep blogging, but any sort of schedule has been thrown out the window until further notice. In addition to making these podcasts, and figuring out these new shows we're adding, I've been working really hard on music. It all takes a lot of time, and there is only so much. Plus, my co-conspirator, Caleb is going on a well-deserved vacation with his wife, and will be unavailable to do all the coding, and whatnot for a little bit. Fear not, my friends, this is nowhere near the end! This is the dawn of a new beginning! It may be a little rough at first, but it's going to work, and you're going to love what we have in store for you! The goal of NOLYB has always been to shed some much-needed light on the underground scene here in South Carolina, and beyond, as well as provide a document for the future. When they come around to make a film about us in a few years, we'll have all these live recordings, and interviews to refer to, and it'll be so incredible! In the meantime, please do visit the sites we have linked off to the side, and let us know if you think we're missing anyone. It's great to see so many people over the past few years taking action, and starting their own sites. I've even recently found a local site that's been at it for much longer than I have! Y'all keep your heads up, eyes open, and keep fighting the good fight. We'll be back better than ever real soon!